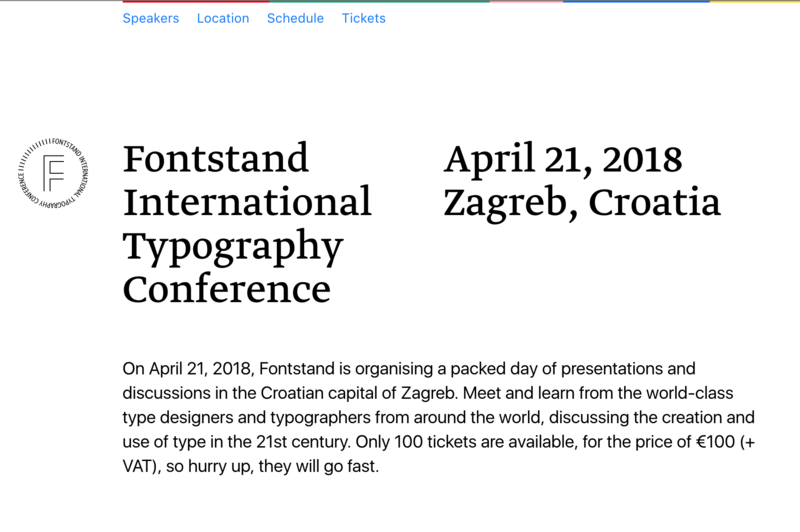 On April 21, 2018, Fontstand is organising a packed day of presentations and discussions in the Croatian capital of Zagreb. Meet and learn from the world-class type designers and typographers from around the world, discussing the creation and use of type in the 21st century. I will be there talking about the activities revolving our work at Type-Ø-Tones. The speakers are designers that have their fonts at FontStand. Check all the details here.